To empower educators to further develop and demonstrate knowledge about and skills with MacBook laptops running the MacOS. 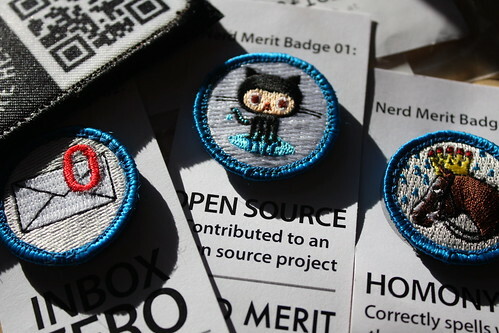 To explore and model the use of a Mozilla Open Badges compliant WordPress site and the BadgeOS plugin (with Credly) to issue badges reflecting MacBook knowledge and skills. Badges you earn on MacBookMaestro are auto-magically sent to Credly.com so you can view them in the free Credly iOS app for iPhone, iPad, and iPod Touch. Just be sure to log into the Credly app with the same email you use on MacBookMaestro.com. Dr. Wesley Fryer is the author and creator of MacBook Maestro. Wes created this website initially for a series of summer 2013 workshops for Yukon Public Schools in Oklahoma. An inquiry form is available if you’re interested in bringing Wes to your school, school district, or other organization to present this workshop or other sessions. MacBook Maestro is an independent workshop and has not been authorized, sponsored, or otherwise approved by Apple Inc. MacBook® is a trademark of Apple Inc. See “Guidelines for Using Apple Trademarks and Copyrights” for more information.